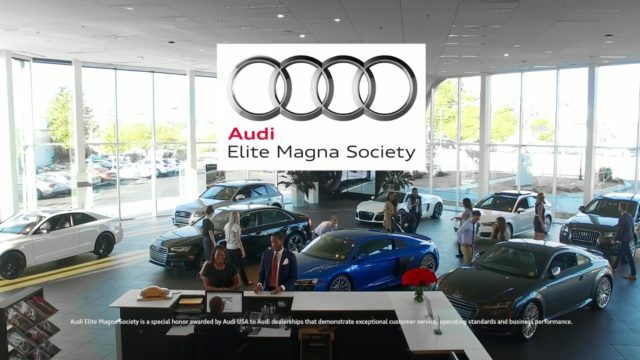 Atlanta video production company FUGO Studios was recently approached by Jim Ellis Audi of Atlanta in order to produce a new video. 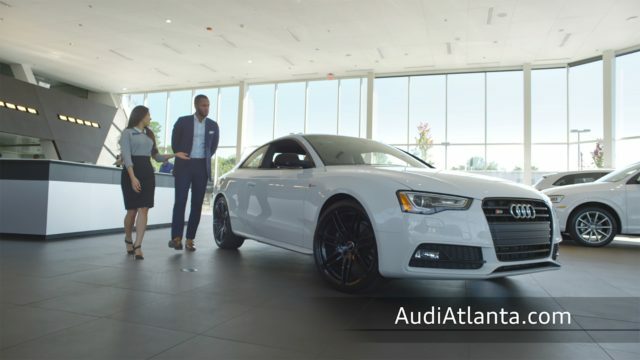 The production would be an exercise in exploring the high-octane world of Audi Automotive while bringing a creatively cinematic flare to local dealership commercials. The FUGO Studios team attacked this challenge with the usual tenacity they bring to bear on every video production. 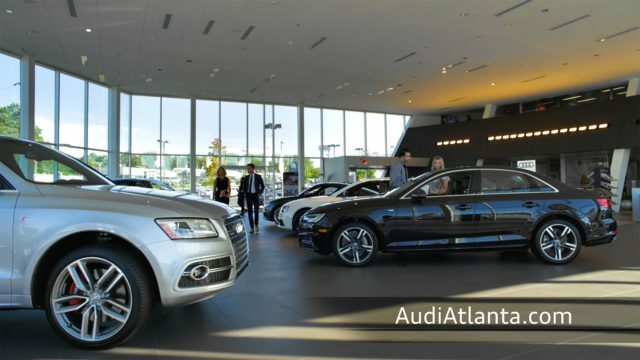 After a visit to the dealership to scout the facility, the production professionals arrived in the pre-dawn hours, quickly moving into place and assembling a battery of equipment. 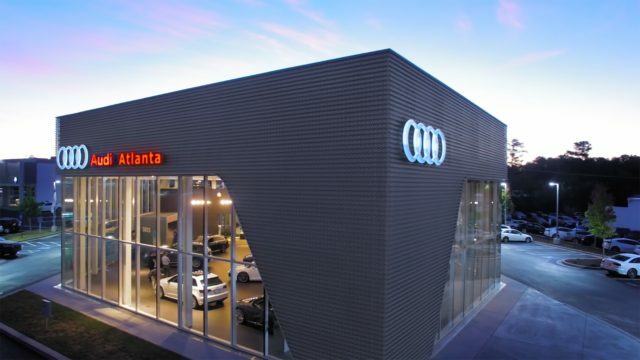 As the sun began to peek over horizon, the production company was in the air, shooting a series of beautiful aerial establishing shots of the Jim Ellis Audi complex. Inside, cars were carefully situated and the filming began. 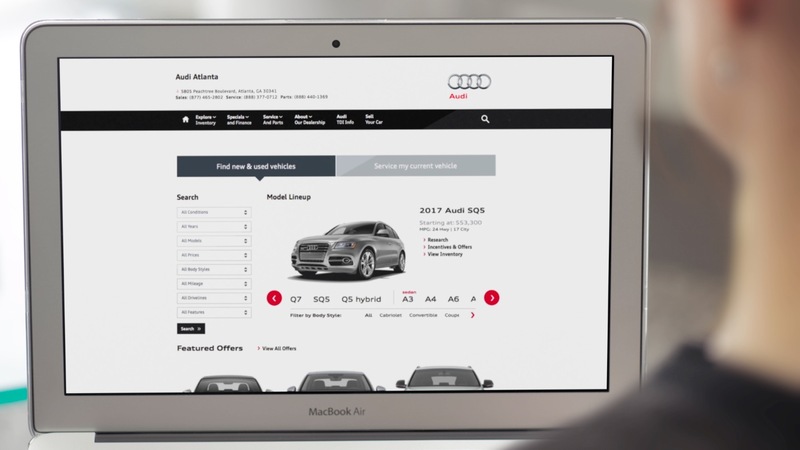 The FUGO team shot a series of vignettes inside and along a fleet of Audi’s top of the line vehicles. The end result is a local dealership commercial that is miles above the norm. The lesson here: just because it’s local doesn’t mean the quality has to suffer; a mantra that repeatedly makes FUGO Studios the go-to Atlanta video production company.